Welcome to the first day of Sun City Music Festival! 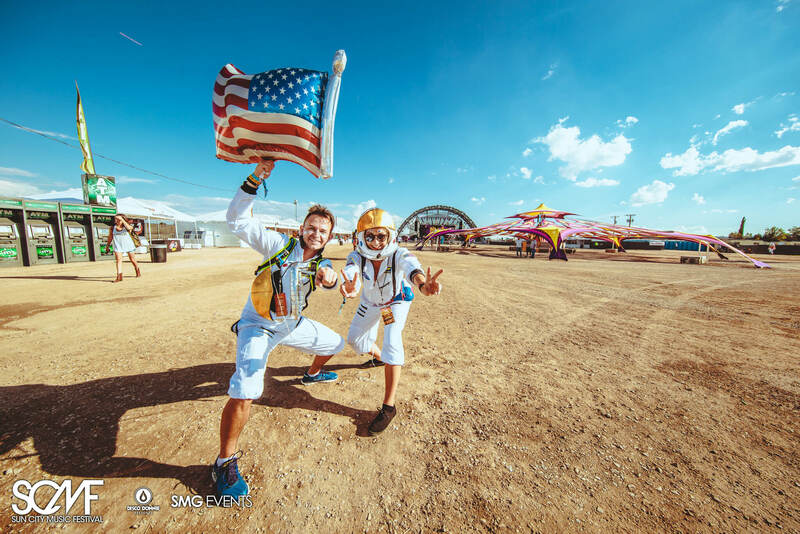 As you make your way to Ascarate Park, be prepared for the fun to begin, with a daily guide covering everything you need to know for day one in the Sun. 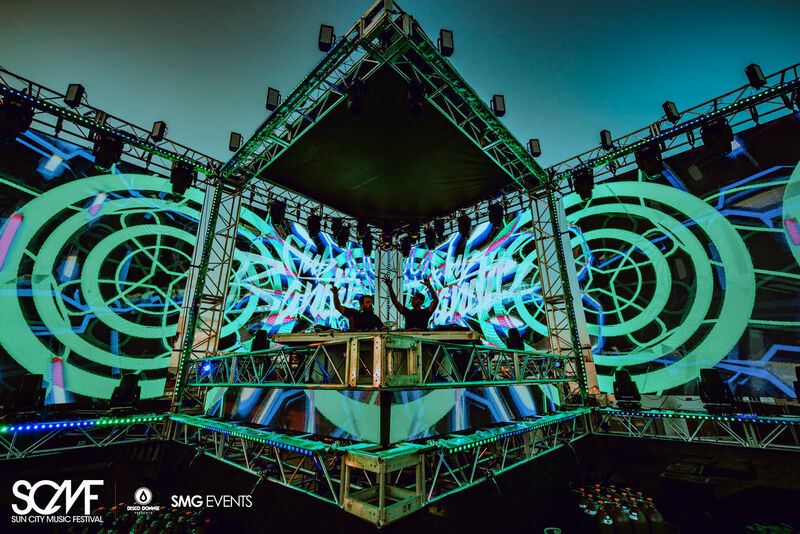 From the park’s hours of operation to plotting your arrival, and making your artist schedule — the time has finally come for the seventh annual SCMF. 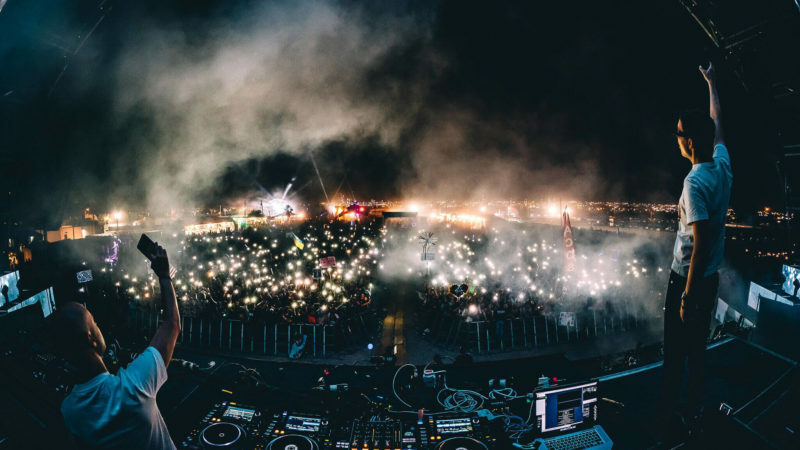 Above all else, let’s Celebrate Together(ness) and support our fellow tribe of dance fans, for a chance to win the VIP festival treatment of a lifetime! 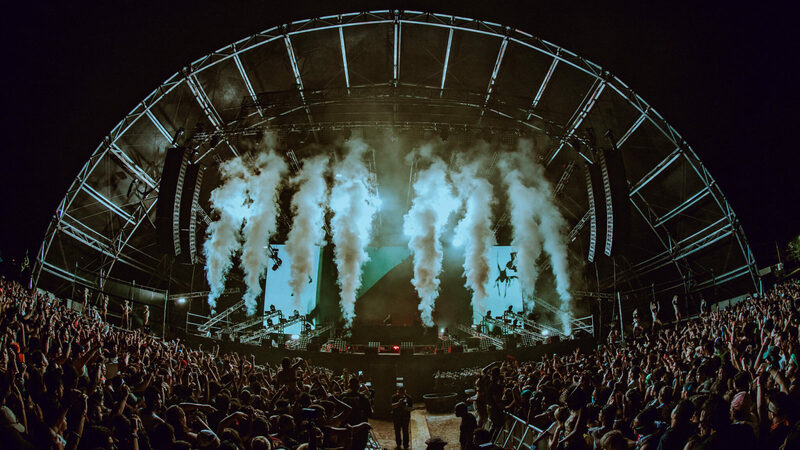 Before you hit the grounds running, grab the official mobile app free for Android and iOS devices to create your own list of must-see shows, view the official map, learn about the DJs set to perform, and so much more. Don’t miss a beat, download the app! Plot your arrival for the big weekend with festivities beginning at 5:00 PM and coming to a close at 2:00 AM each night. For those catching a cab, or copping a ride from friends and family, you can find the drop-off and pick-up location to the right of the main gate, as you enter from Delta Drive. If you’re planning to drive, please CARPOOL with fellow attendees as space is limited. Parking will be held inside the park and costs $5.00 per car — cash only — with lots opening at 4:00 PM each day. 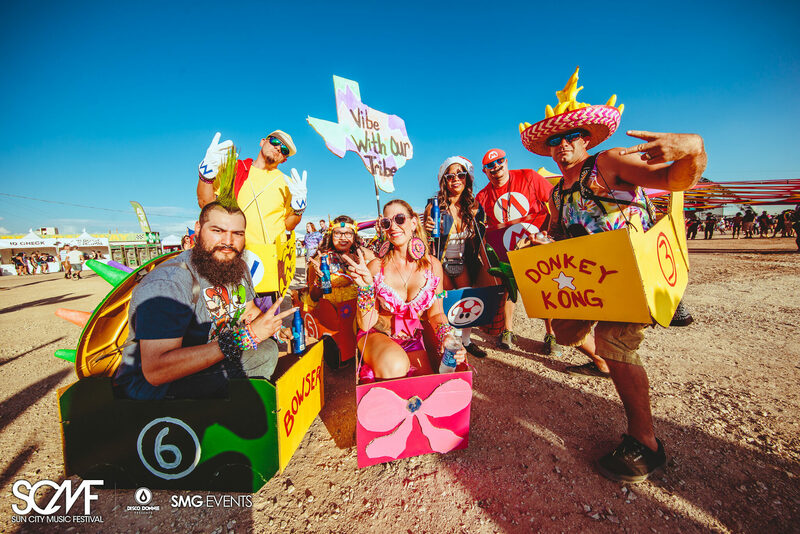 Bring canned goods and donate to the food drive to gain express entry, plus a chance to win VIP upgrades and passes to next year’s party! The most convenient and safe way to travel is to fare split an Uber with your crew! Thanks to our partnership with Uber, we’re offering FREE rides (up to $20) for first-time users to enjoy $20 OFF. Just enter the promo code “SCMF17” for your first ride on us! ADA parking is available for patrons with valid handicap placards, plates and/or permits, as well as the applicable proof that it belongs to them. Please follow signage or ask staff upon entering the festival how to access the lot. 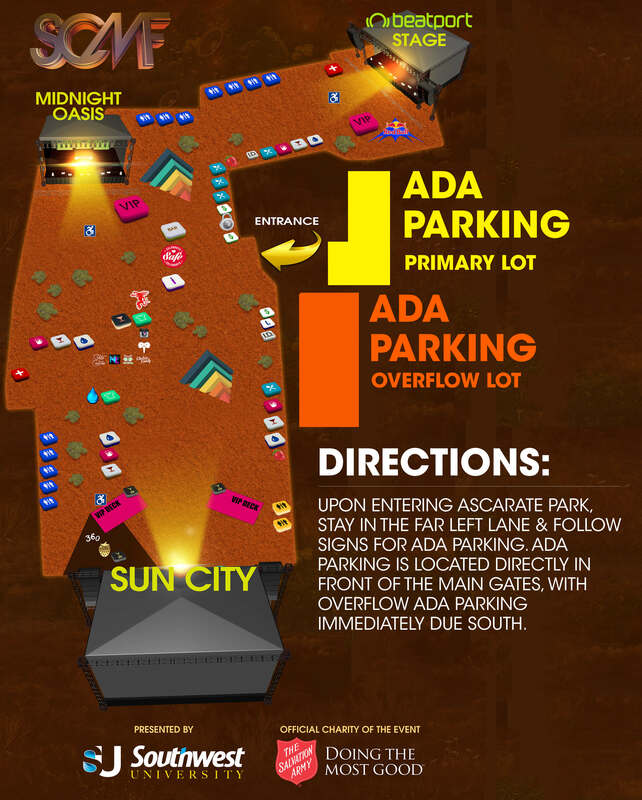 For more information about ADA accessible parking and entry, contact ada@suncitymusicfestival.com by email. 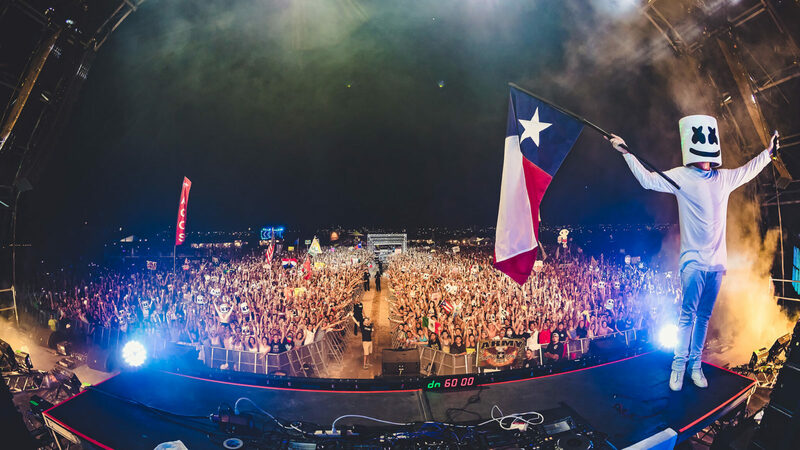 Be sure to bring your SCMF ticket and valid identification. 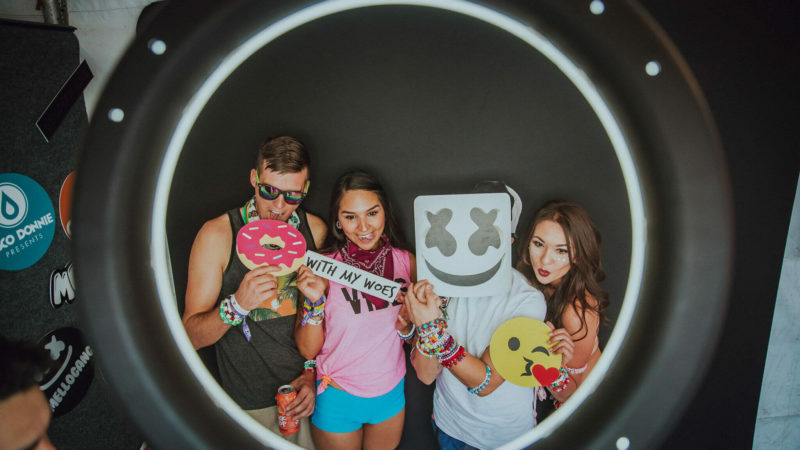 To prevent running into any trouble at the front gates, quickly review our rundown of accepted versus prohibited items covering what you can and cannot bring past the festival gates including totem pole guidelines. Locate whatever you may need by checking out our handy festival map! Make the most of your place in the Sun by taking advantage of our many amenities. Find the best spots to chill-out, snap some pics with your squad, and relax at the Bud Light Cantina. We’ve got you covered with a wide array of delicious cuisine at our yummy food vendors, plus an assortment of festive retailers that’ll bring your experience to life. 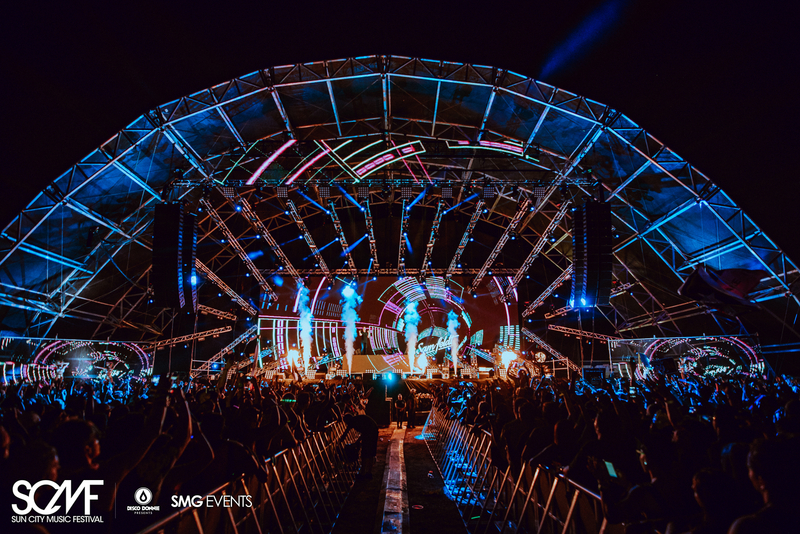 Get Spectified in a pair of illuminating shades and join our PixMob interactive light show for a chance to win official merch, VIP upgrades, and more! This year we’ve added more ways to stay cool including additional shaded areas and places to chill. As we all know, it’s crucial to drink plenty of water. Refill empty containers and be the life of the party with a pit stop at the free water station. For practical supplies, like a Vibedration hydrating backpack and reusable water bottle, visit the official SCMF merch booth! Safely stash your belongings by renting a locker on-site and keep a watchful eye on your valuables as you hop from stage to stage. Help fellow party-goers and be a friend indeed by returning misplaced items to the Lost & Found. Whether you need to rehydrate with electrolytes or are in need of basics like aspirin, band aids, and earplugs; we have medical personnel located on-site. Look for First Aid stations near every stage marked with a red cross. You are welcome to visit for any health related issues. Browse the scheduled program of events including a complete list of artist set times and make your rounds on the grounds of Ascarate Park. Don’t miss a beat, to create your own personal list of must-see shows, simply login with Facebook and ‘add’ your hand-picked sets to the My Schedule feature! 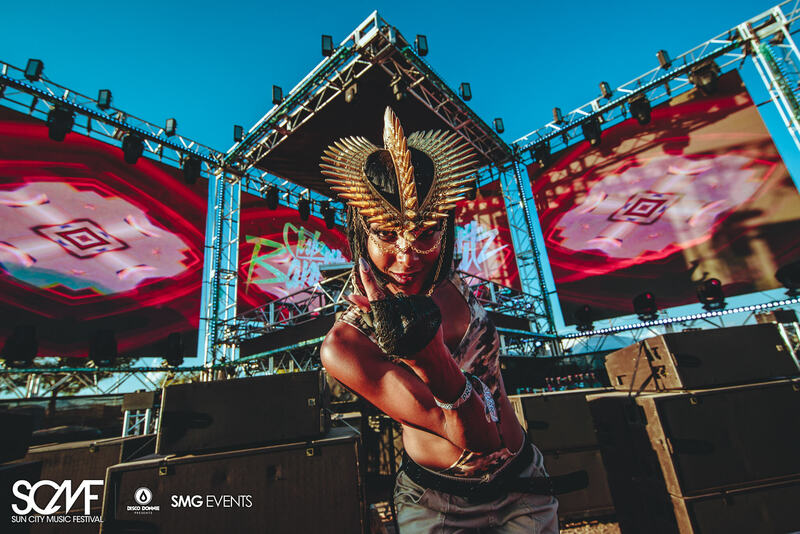 Experience the potent energy of electronic music’s greatest luminaries with brilliant performances at the Sun City main stage, life on Earth will forever be changed. 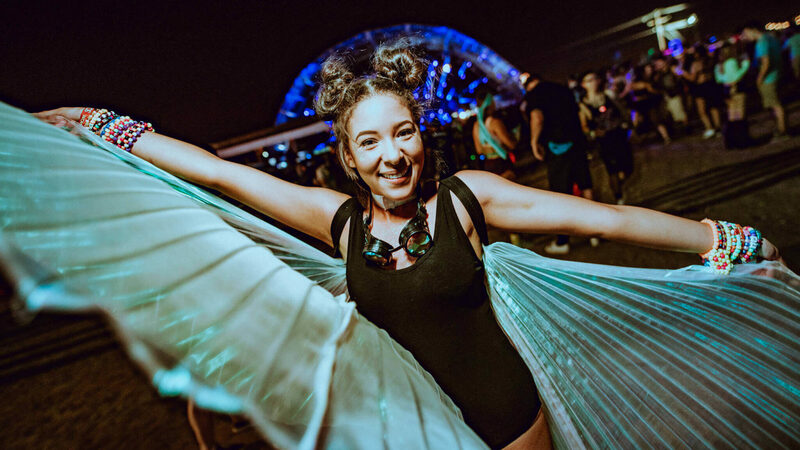 Dip into Midnight Oasis and be transported to another world by the diverse lineup of today’s finest players who will deliver sweltering DJ sets. 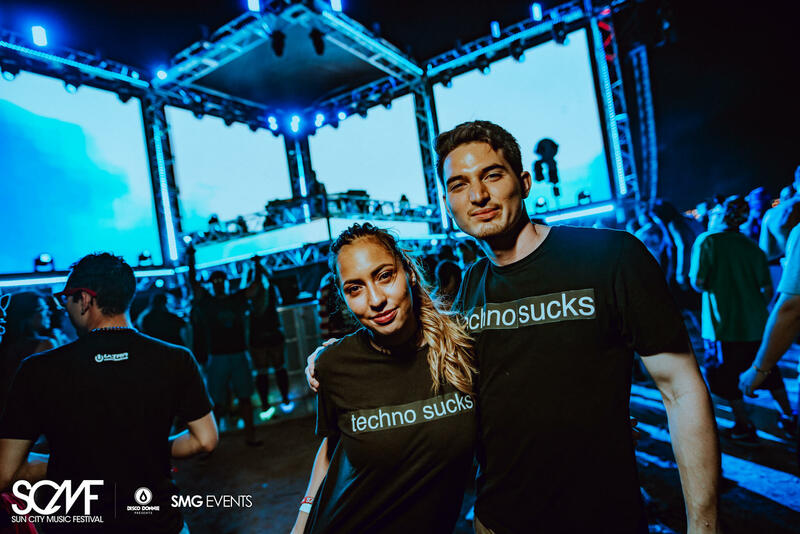 Tap into the sounds of the underground pulsating from the Beatport Stage including some of house and techno’s most cutting-edge talents. 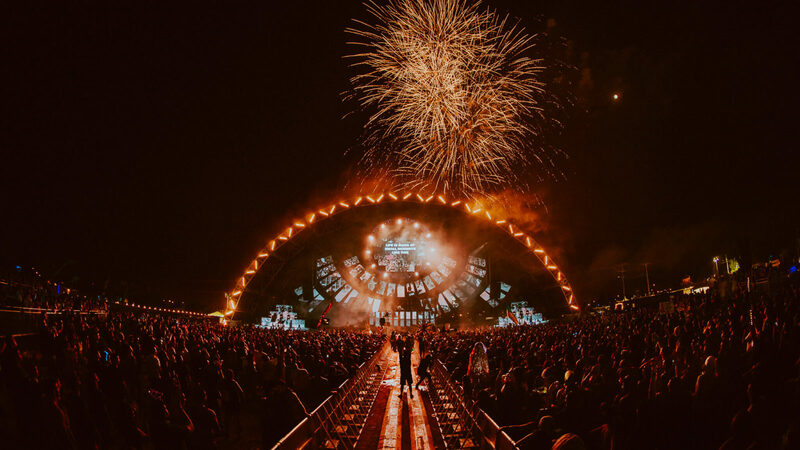 Familiarize yourself with the hotly anticipated lineup and spin the Spotify playlist to get pumped for the party! 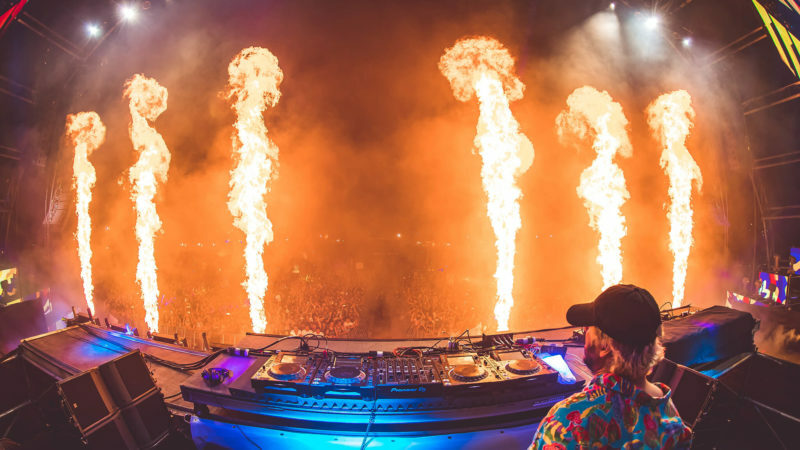 Our curated playlist features a collection of the latest tracks from Marshmello, Borgore, Illenium, Malaa, Slushii, and so much more. 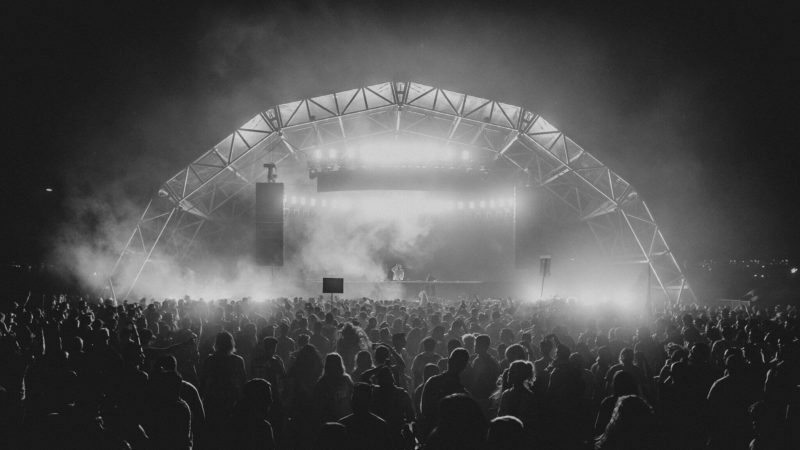 Showcasing a blend of genres including house, techno, trance, bass — and everything in between — the full talent roster represents a cross-section of today’s finest players.